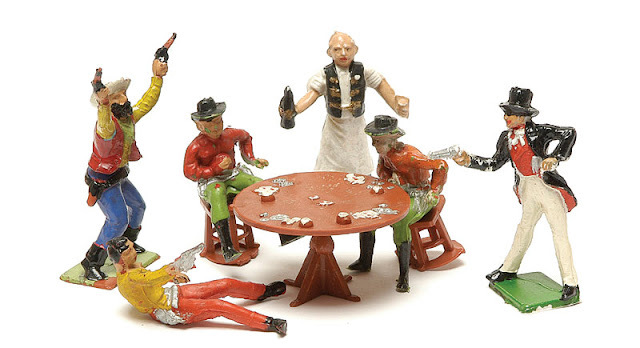 Toy soldiers have come a long way from being just a bit of fun during childhood. They are now a seriously grown-up investment that can fetch thousands of pounds. Small military models have been found in the tombs of the pharaohs, but it was only in the late 19th Century that their appeal took off. 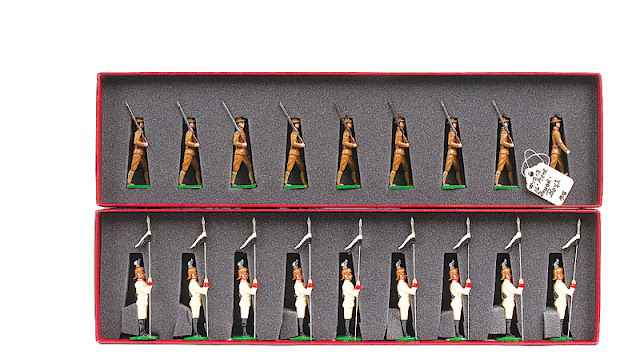 This was in 1893 when William Britain invented the first hollowed-out, lead-alloy toy soldier for Victorian children. 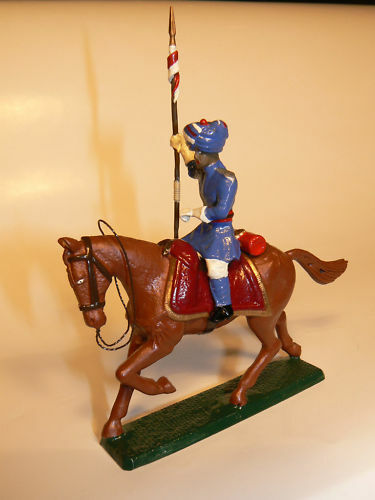 Previously, most toy soldiers had been two-dimensional solid lead figures known as 'flats'. His company produced the first relatively affordable set at a shilling for a red box of nine soldiers, but that was still more than the average worker's daily wage. The same toys well looked after can today fetch thousands of pounds. 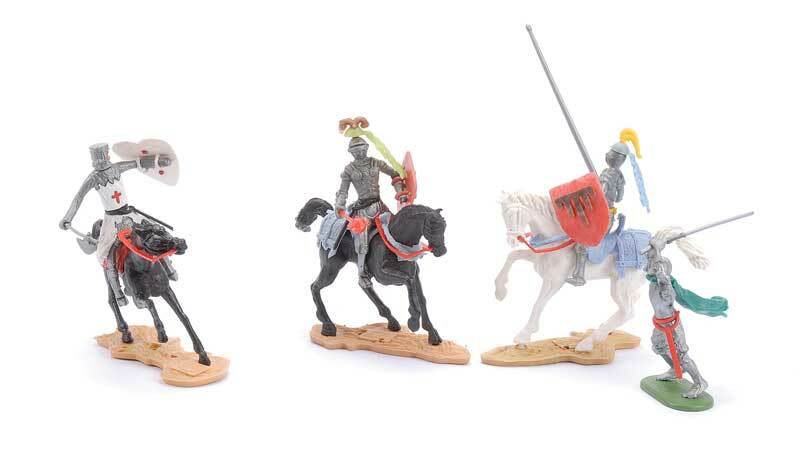 Model hobby: Toy soldiers well looked after can today fetch sums worth thousands of pounds, this figure above recently sold its 5,000 th copy. that means a tidy profit of around 4,ooo pounds. 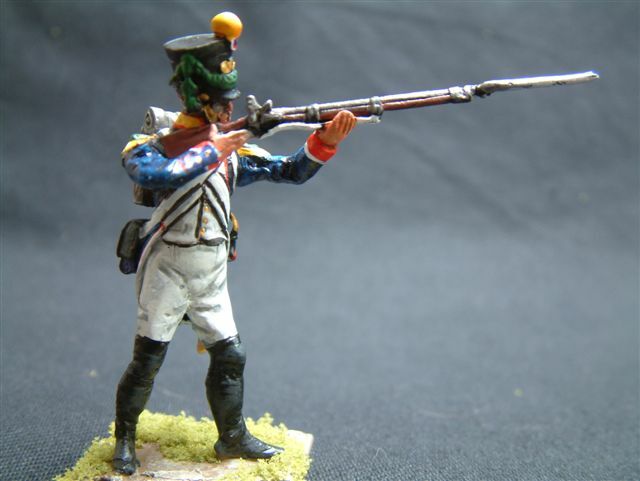 My main objective with fixed bayonet soldiers is to create a kind of co-op where people club together to create their own soldiers.this would bring the price down to about 3 pounds an unpainted figure. 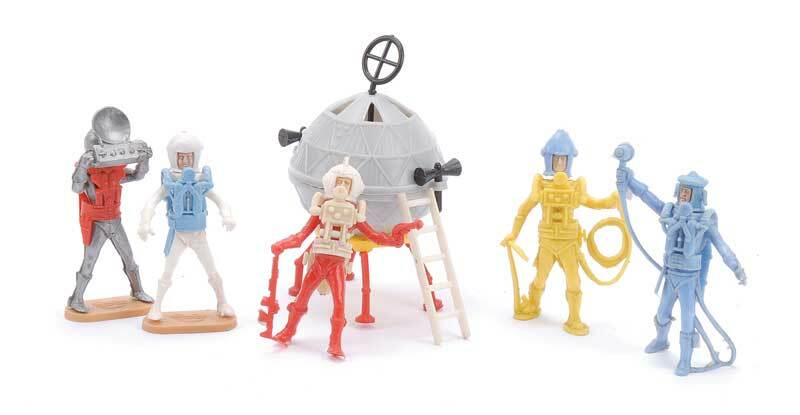 my own figures should be selling for around ten pounds but i've still managed to make a good profit on the ones i have produced. if you think about value then these are certainly the best. 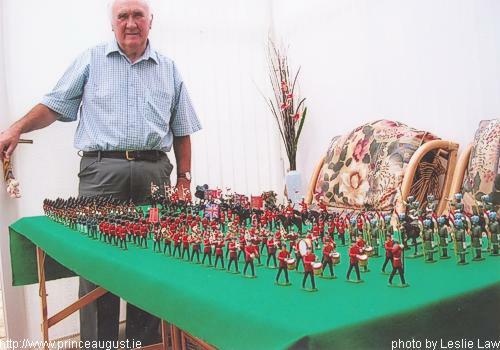 James Opie, 65, of Hampstead, northwest London, fell in love with toy soldiers as a child and has been collecting them ever since. When the second Boer War began in 1899, the Britain Company began churning out toy soldiers for propaganda and not just as toys. Along with any made before the 20th Century, they are known as 'ancients' and sets of nine in a box can cost £2,000 to £4,000. Unusual and rare figures are particularly sought after as are those celebrating the pomp and ceremony of the British Empire. But later toy soldiers can still be highly collectable, and often more affordable, with top quality soldiers being made right up until the Sixties. In 1966 William Britain halted production of lead-alloy soldiers when the material was banned for being potentially poisonous. James says: 'One of my favourites is a Pipes and Drums of the Black Watch set, which first came out in 1954. I paid about £1 in 1967 for the box and still have it. It is worth at least £500.' By being boxed, a set fetches double what it would without one. 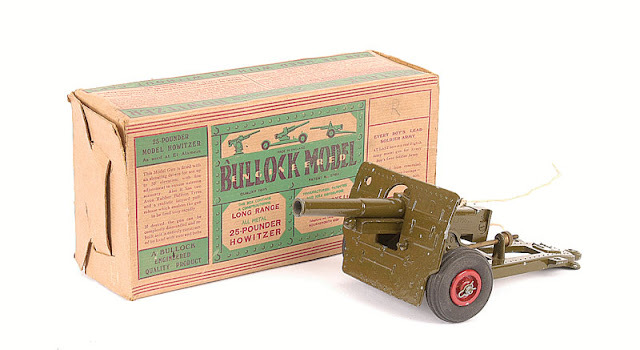 Although it is not military, among the most unusual collectable figures is a late Twenties 'village idiot', part of a William Britain farm set that can now change hands for at least £150. This cross-eyed character was introduced in 1927 after it was alleged Queen Mary remarked on the absence of the figure at a trade fair. The model was later withdrawn for being in poor taste. James has a late 19th Century set of nine 'plug-shouldered' lancers worth at least £3,000 that he says demonstrates why the toys can be so collectable. The soldiers' arms could be moved and were also interchangeable to hold different accessories such as lances, trumpets and swords. Individual figures offer a great way to start collecting and James says a 1953 Queen's Coronation coach, at £80, and 18 attendants, at £120, is good value. 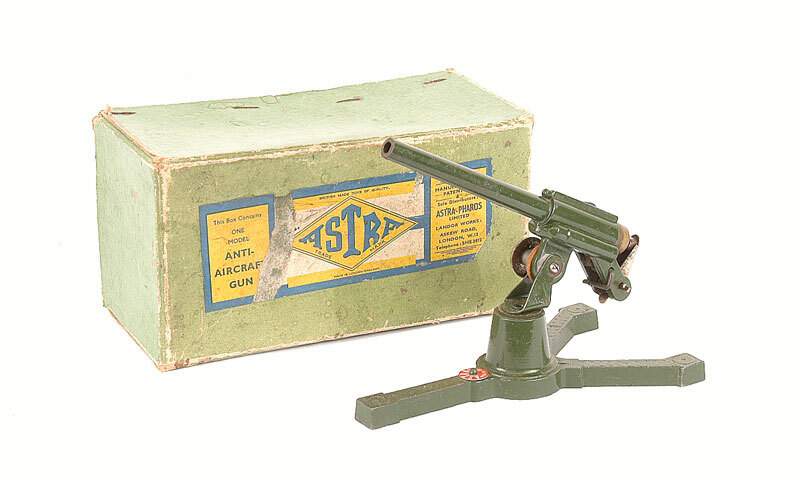 However, those with deep enough pockets can spend up to £20,000 on a British Army presentation case dating from the Thirties, in top condition, with 275 soldiers of all ranks. 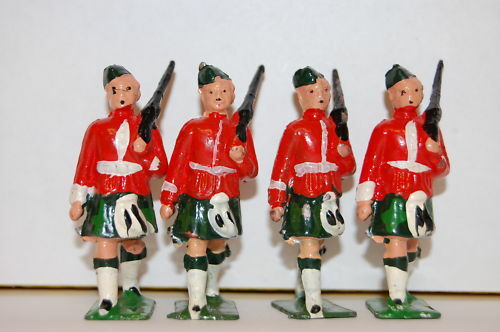 Key to the appeal of toy soldier collecting is the fact that they suit all budgets. Tony, of Spennymore, County Durham, also says that later figures, even those made of soft-metal, are far less prone to natural decay. If a soldier is discovered to be suffering from lead rot, it must be immediately quarantined to ensure others are not infected.